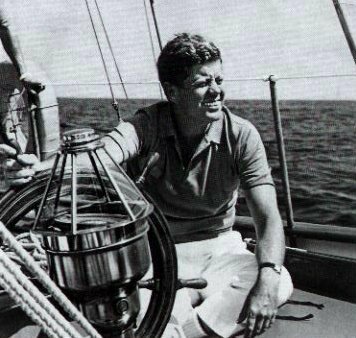 John F. Kennedy - in 1960, takes the helm! in SEA, Air, and/or Land (Later, Space!). Any and all foreign environments!! commissioning date), The Vietnam War was their ultimate testing ground. own backyard! The enemy no longer could hide, thanks to the SEALs! Visit my Navy SEAL tribute site for more on America's Ultimate Commandos!